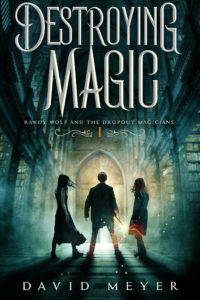 Destroying Magic is here … get your copy today! 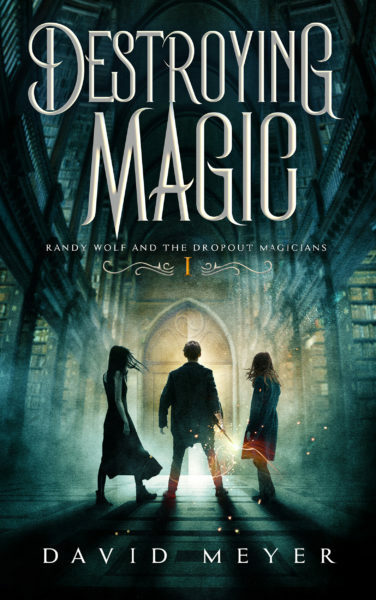 I’m pleased to officially announce the release of DESTROYING MAGIC, the first book in my brand-new Randy Wolf and the Dropout Magicians series. This story is almost two years in the making and I’m confident you’re going to love it. Randy Wolf was once a promising young wizard, on track to earn a degree from the prestigious Roderick J. Madkey School of Magical Administration. But everything went wrong. Forced to drop out, he became a lowly assembly-line magician at his former school, serving the high-powered faculty and arrogant student body.Then came the invasion. This is my best book yet and I know you’re going to love it. The purchase links are below! Posted in David Meyer, Randy Wolf and tagged Crashcourse, David Meyer, Destroying Magic, Fiction.